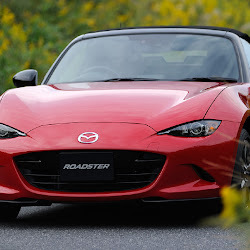 #Mazda has unveiled a pair of distinctive MX-5 roadsters which it will debut at next month's Tokyo Auto Salon. 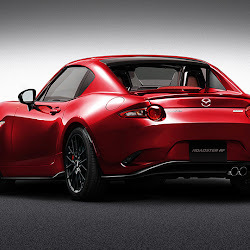 The first of the pair is dubbed the RF Custom Style and is based around the fastback model of the popular sports car. 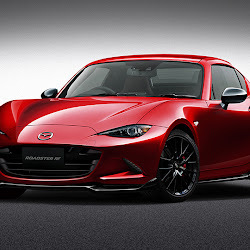 Compared to the standard car however, it receives a number of new style touches including a low-slung front splitter and blacked-out side skirts. 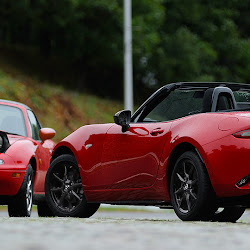 Additionally, the RF Custom Style has been fitted with ride-height adjustable suspension, a strut tower brace up front and a ticker sway bar. 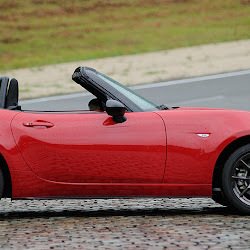 Completing the modifications are new sports exhaust tips. 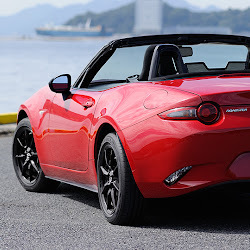 As for the second MX-5 bound for the Tokyo Auto Salon, it has been dubbed the Classic Red. 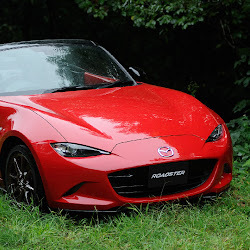 Appropriately, it is painted in a color called Classic Red which is one of the three that was offered on the original 1990 MX-5. Apart from the paint scheme, the rest of the car remains standard. 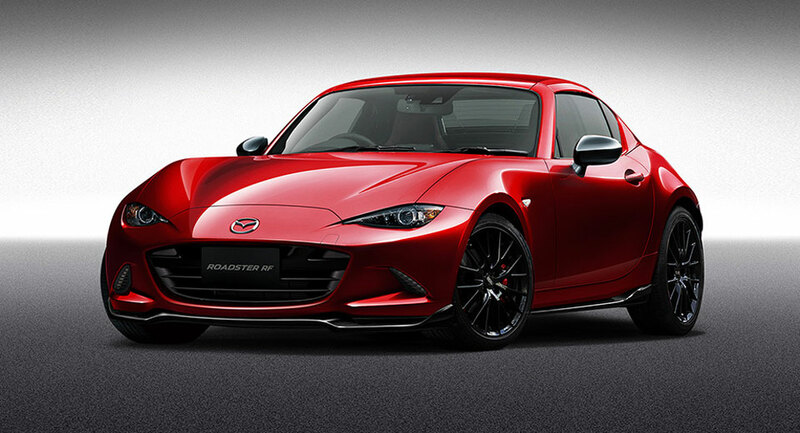 The Tokyo Auto Salon 2017 will be held from January 13-15.